"Hey Toronto! Join us for a private exclusive event hosted by 94.9 The Rock at The Hard Rock Café on February 12th at 8:00pm! We will be performing live and you’ll also have a chance to score tickets to our Danforth Music Hall show and more. For a chance to get on the guest list email freestuff@therock.fm." To check out event information, go HERE. 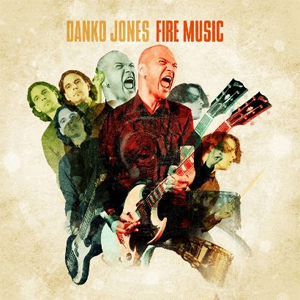 DANKO JONES also recently announced an upcoming Canadian leg of an international tour kicking off in Winnipeg on April 9th. The Western part of the tour features Australian band THE LAZYS while the Eastern leg features Canadian raucous rock trio SAY YES. More dates have been added to the tour.